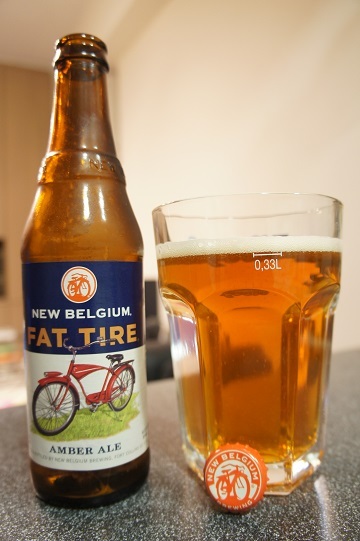 Brewer Description: (from bottle) Fat Tire Amber Ale perfectly balances biscuit-like malt flavors with hoppy freshness. Named in honor of a storied bike ride through Europe. 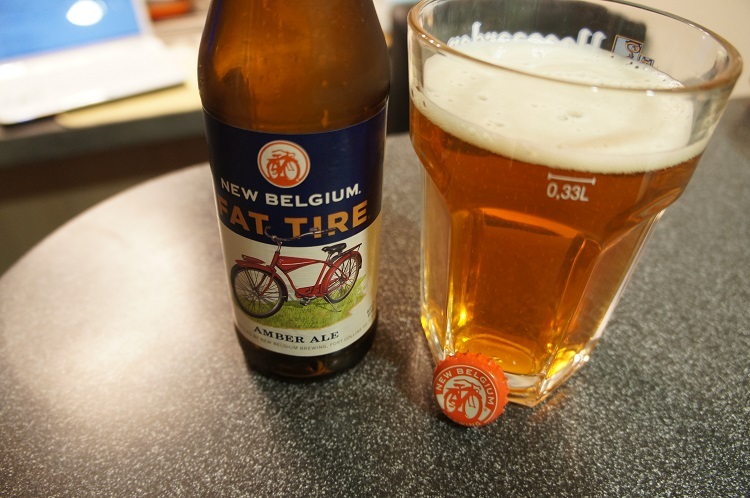 Fat Tire cruises with Belgian imagination and inspiration. 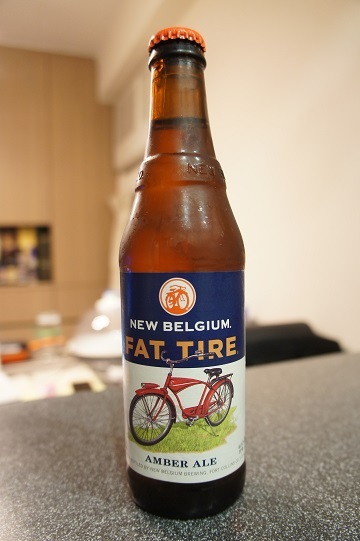 Intro: A 12 fl oz bottle with an enjoy by date of 19th July 2015 and poured into a pint glass. Appearance: It poured an extremely clear deep copper colour with a one finger white head that dissipates quickly. Aroma: Slightly weak aromas, but there’s biscuit and bread like notes, slight caramel and also a touch of apple. Taste: It’s quite similar to the aromas. I get biscuit malts, caramel and some apple juice. I’m not really getting that much hops. 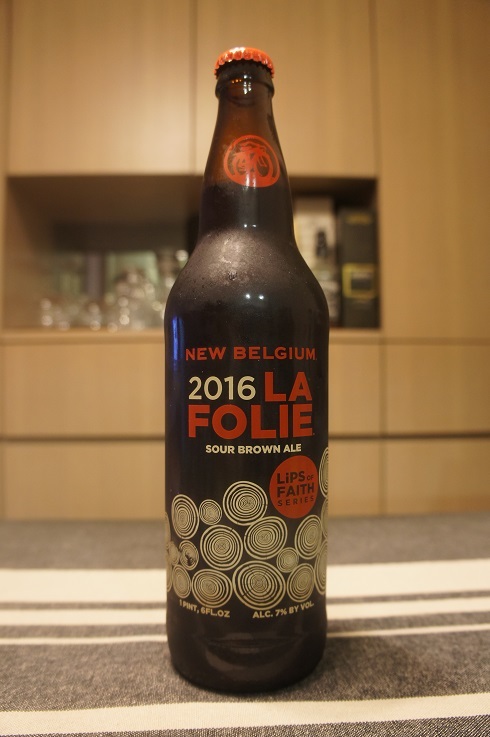 Mouthfeel: Medium bodied and medium to high carbonation. 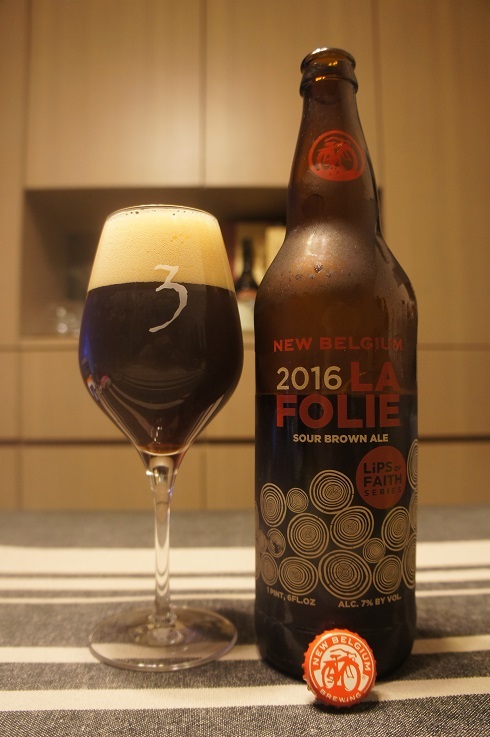 Overall: This was decent and easy to drink but not amazing. I wouldn’t actively seek it, but if I could find a fresher bottle, I’d try it.